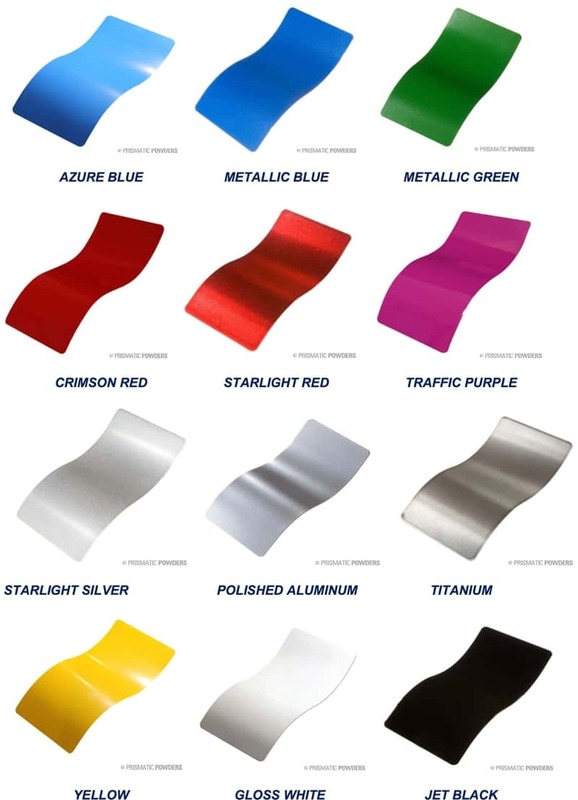 The color chart shown below will give you an idea of our available powder coat color choices. Because computer monitor color settings are not always exact, this chart is an approximate guide only. If you’re concerned about the exact color, please email us for a free hardcopy of this color chart.